The Amaretto Shake is just what it sounds like: an almond-chocolate milk shake, grown-up style. It’s so smooth you might not notice the two ounces of brandy. Like any blended drink, this one is great for cooling off. It’s also a delicious dessert substitute because it’s got some texture to go with the sweetness. The flavor is a little more sophisticated than your typical chocolate blended drink, with the brandy adding hints of fruit and oak. If you like the drink, you should definitely try the Toasted Almond, featuring Kahlua and amaretto with cream. Put everything in a blender and blend on high until it’s smooth. 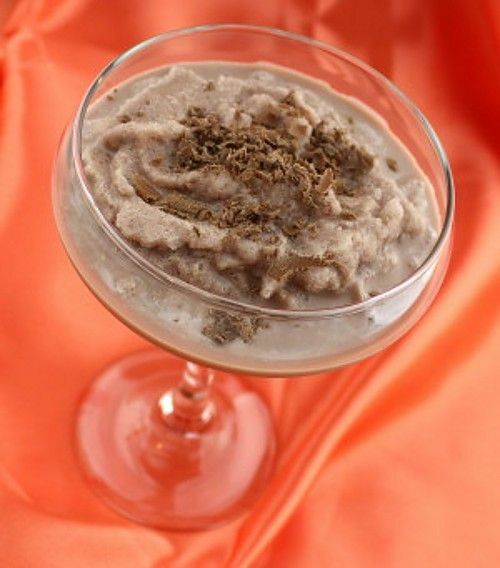 Serve in a champagne saucer and sprinkle chocolate shavings over the top.